Our coupon ordering system makes selling and ordering our tags even easier. No need to fill in forms and fax them to us - we will provide you with coupons that your customers can purchase to order their tags online in their own time. 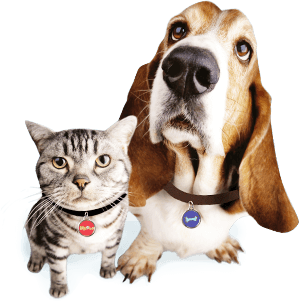 Our pet tags are manufactured from the best quality materials and engraved by laser, with a 5 year guarantee against fading and breakage. 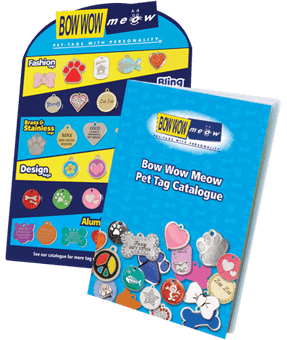 Our range includes a variety of materials, shapes and sizes to suit every type of dog or cat. A selection of each tag range is displayed on our attractive and compact tag display stand. Need to redeem a coupon?